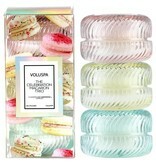 1.8 oz of fragrant macaron flavor inspired COCOWAX fills a delicately colored glass jar shaped like a macaron cookie. 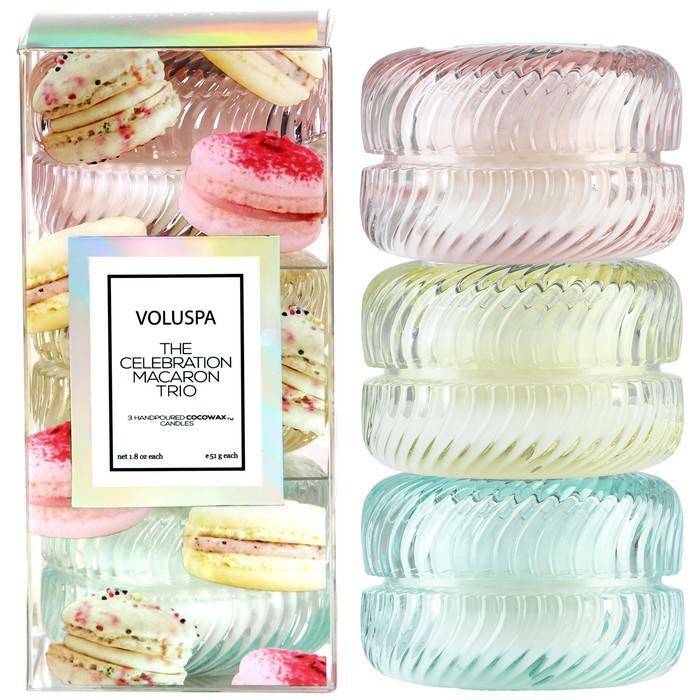 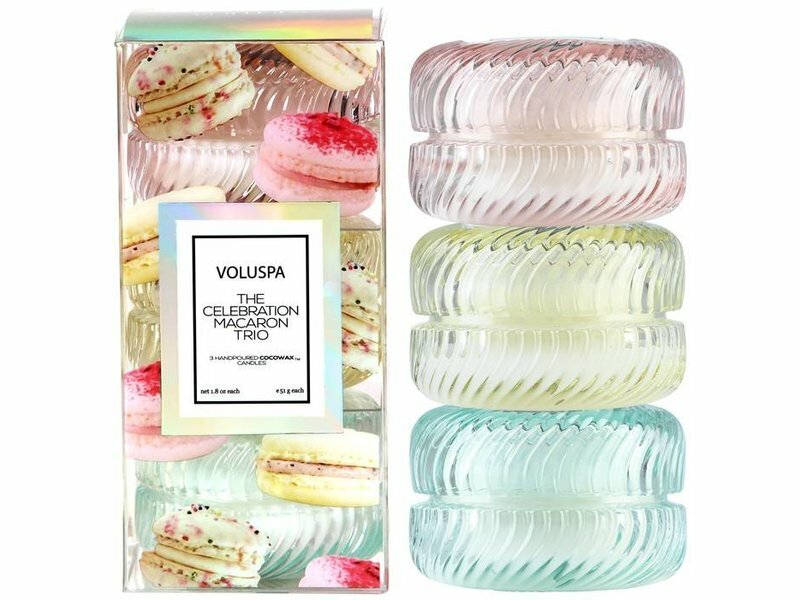 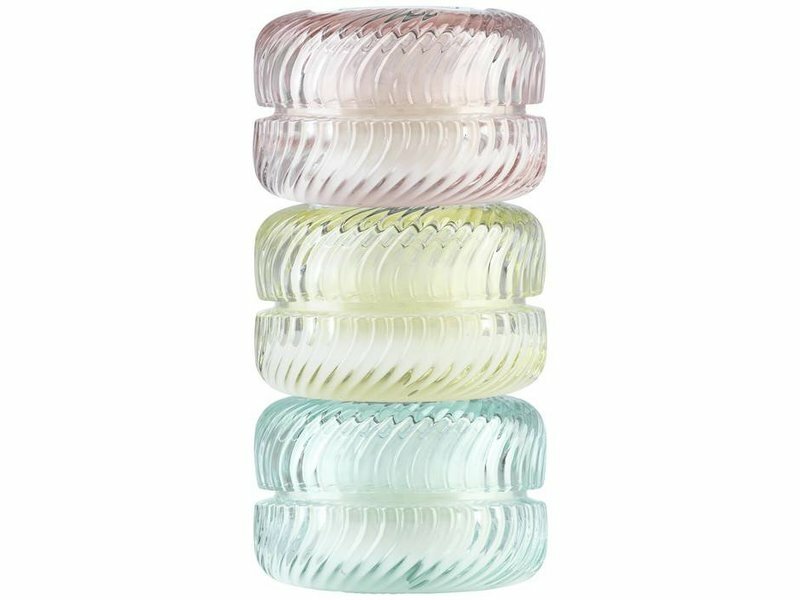 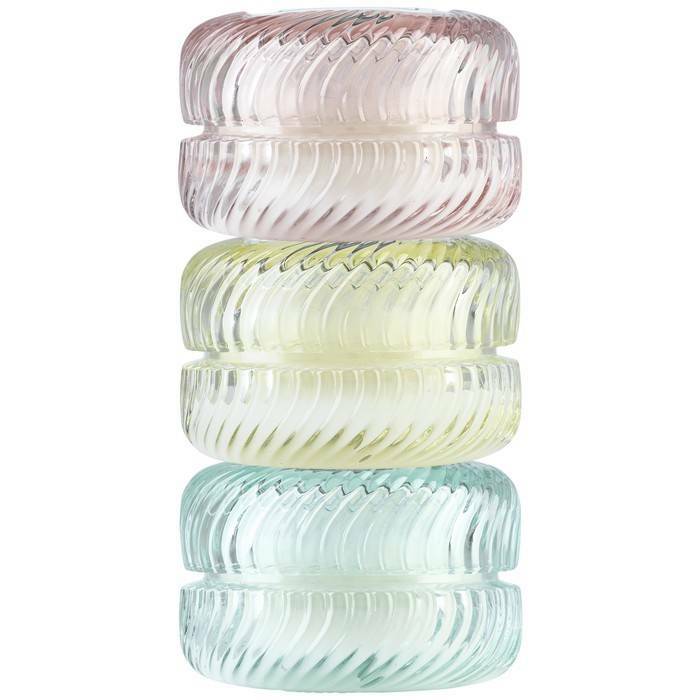 The Macaron Collection glass is textured with a soft swirl pattern and colored to match the cookie that served as fragrance and packaging inspiration. 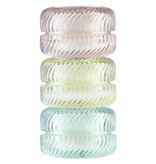 Stack them, pile them up, always use more than one because who’s counting?